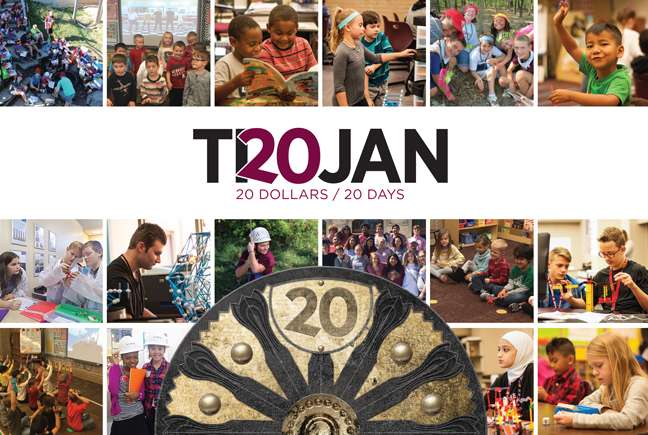 Welcome to Trojan 20—a fundraising campaign designed to cultivate small donations on a large scale…and create a BIG impact for our students! The fundraising goal for 2018 was for parents to raise at least $20 for every child they have enrolled at Jenks Public Schools in 20 days and our campaign was a HUGE success! The Trojan 20 campaign raised over $25,000…and donations are still welcome! You are probably aware of some of the amazing opportunities your kids experience as part of their education at Jenks Public Schools. Programs like GoNoodle, BizTown, Jenks Wild, AVID, STEM Learning Labs, and the new Senior Conference, “Prep You”. But you may not be aware that these programs are only available because of the funding provided through the Jenks Public Schools Foundation, by invested parents and guardians like you. Your gift matters. Every gift of every size makes a difference in the lives of the students, teachers and administrators of Jenks Public Schools. © 2019. Jenks Public Schools Foundation. All Rights Reserved.